Melaleuca Vitality - Not Seeing Results? You're Probably Skipping One of The Four Steps. Not Seeing Results? You’re Probably Skipping One of The Four Steps. When it comes to getting in shape and being healthier, these four steps make it simple: Eat Smart, Get Active, Take Vitality, and Stay Accountable. If you’re trying your best and not seeing results, chances are you are leaving out the last step. We polled 107 readers to see their eating and exercising habits. Some of the results were surprising. There might not be a magic pill for permanent weight loss, but there is a simple step that will make you twice as likely to get the results you want from your diet and exercise regimen. A study in the American Journal of Preventive Medicine followed 1,685 weight loss seekers on their journey. The single biggest predictor of their success was if they held themselves accountable in their goals. It’s as simple as that. Accountability works. Setting goals and holding yourself accountable are key to reaching those goals. Like a cross-country trip without a destination, if you’re not tracking your progress and working toward a goal, you’ll never get where you want to be. 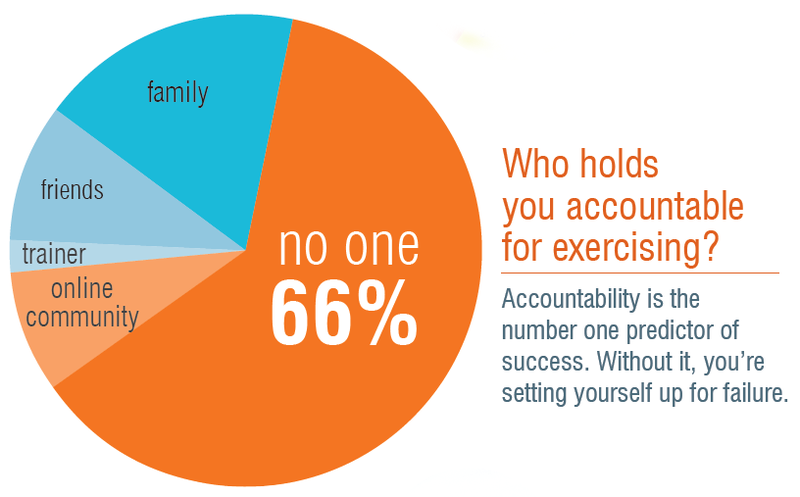 Accountability comes in many formas choose what suits you. Grab a notebook or journal and write down what you eat and when you exercise. Share it with someone else. Join a local weight loss or support group. Email, phone, or text a friend regularly to report your progress. Log your meals on a free website like MyFitnessPal.com. Weigh yourself and take weekly measurements. Write them on a chart hanging by your mirror. Hire a professional who will follow up with you.